As the Trump administration plans to establish a “Red Team” to review the broader scope of climate science factors, Think Progress, other reporting agencies and scientists who use the term ‘denier’ to describe dissenting voices on climate science should be condemned for Type Two Scientific Misconduct, according to Friends of Science Society. Friends ask the US House Science Committee and AAAS to publicly condemn this style of bullying since the National Academy of Sciences "On Being a Scientist: ...Responsible Conduct" established that “skepticism” is an essential part of the scientific method. … organized and searching skepticism as well as an openness to new ideas are essential to guard against the intrusion of dogma or collective bias into scientific results. As reported by CBC News July, 05, 2017, the Trump administration is proposing to develop climate change debates, establish a ‘red team’ to review the broader scope of natural climate change factors, and to roll back certain EPA regulations, but Friends of Science says the goal of scientific inquiry is being hampered by bullying. Atmospheric scientist Judith Curry discusses the ‘red team’ approach in a blog post of July 9, 2017. Think Progress published an article on June 23, 2017, claiming that “House Science Committee’s taxpayer-funded email newsletter now features Breitbart, other ‘deniers’ ” like Friends of Science Society, who are mentioned in the article for their recent press release asking that NASA’s website be modified to reflect the fact there is no 97% consensus. Friends of Science says “denier” is a derogatory term; this type of language is a form of Type Two Scientific Misconduct (Cabbolet 2013) and they have sent a letter asking the US House Science Committee and the AAAS asking them to publicly condemn the use of the term ‘denier’ in climate change discourse. The smear term of “denier” is usually accompanied by a claim that anyone who dares to question the alleged “consensus” on climate change must be paid by “Big Oil” to do so. Rarely reported is payola by “Big Climate” to demarket fossil fuels, especially coal. The Washington Times reported July 20, 2015 that the Sierra Club had been funded for millions of dollars by renewables and “clean energy” investors who could benefit from the “Beyond Coal” demarketing campaign. Coal is the most affordable source of power; wind and solar the most expensive and heavily subsidized by taxpayers. The bizarre story of Polywater hysteria is cited as an example, told here in Slate, Nov. 7, 2013. The often cited “97% consensus” is abused and a fallacy, according to Friends of Science Society. Dr. John D. Harper, FGSA, FGAC, PGeol., former director of the Geological Survey of Canada, explains in the Friends of Science video entitled “Active Planet” that the 97% meme is used to trick the public in to groupthink. Scientists accept that climate change is a reality – the real questions are more complex, what is the cause, what is the ratio of human to natural influence, and is climate change a crisis or a simply cause for thoughtful concern and mitigation over the long-term? Dr. Harper notes that “We live on an active planet” with climate change factors like tectonic plate movements, changes in geomagnetic fields, volcanoes, earthquakes, solar and cosmic events which are far beyond human control. 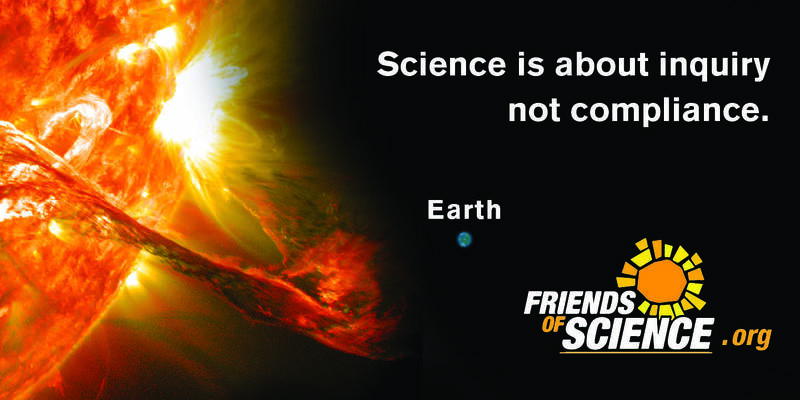 Friends of Science holds the position that the sun is the main direct and indirect driver of climate change, not human greenhouse gases or carbon dioxide emissions. Friends of Science is celebrating 15 years of reviewing a broad spectrum of literature on climate change and have concluded the sun is the main driver of climate change, not carbon dioxide (CO2). Friends of Science is made up of a growing group of earth, atmospheric and solar scientists, economists, engineers, and citizens.